The vectors are the low resolution (LR) observations. The scalars account for possible luminosity differences between the LR images and is the noise variance in the LR image . The matrices account for the shifts between the observations and the matrix D is the downsampling operator. The vector is a rough estimate of the well-resolved image. The final image is given by , where is the minimizer of the problem solved. is a user-chosen redundant dictionary. 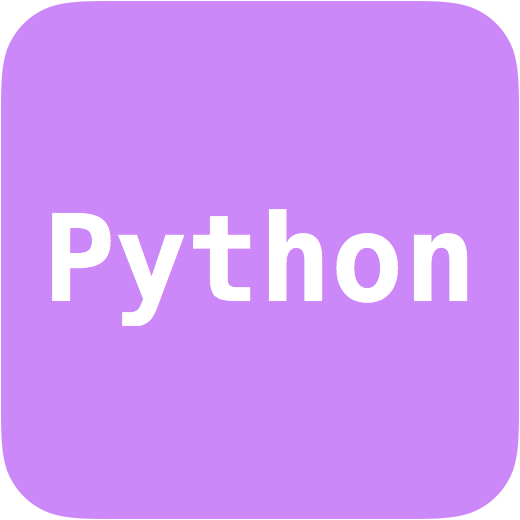 The method relies on the prior that a suitable solution should have a sparse decomposition into the dictionary . 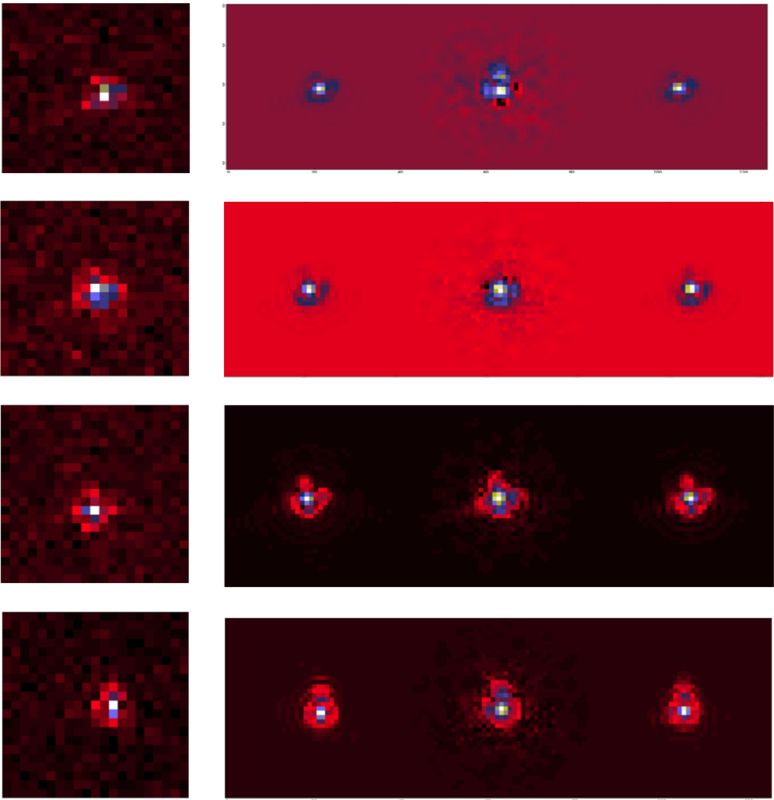 Finally the inequality constraint (which is element-wise) insures that the final well-resolved image has positive pixels values. It's important to note that the only parameters to be provided by the user are $Phi$ and $kappa$. The other parameters are automatically calculated. The source code can be downloaded here: SPRITE package. The data and IDL codes used to perform the benchmark tests presented in 1 are available here: super-resolution benchmark. Please cite the reference below if you use these codes in a publication. This is a preliminary version of the SPRITE package, which may be imperfect. Please feel free to contact us if you have any problem. F. M. Ngolè Mboula, J.-L. Starck, S. Ronayette, K. Okomura, J. Amiaux. 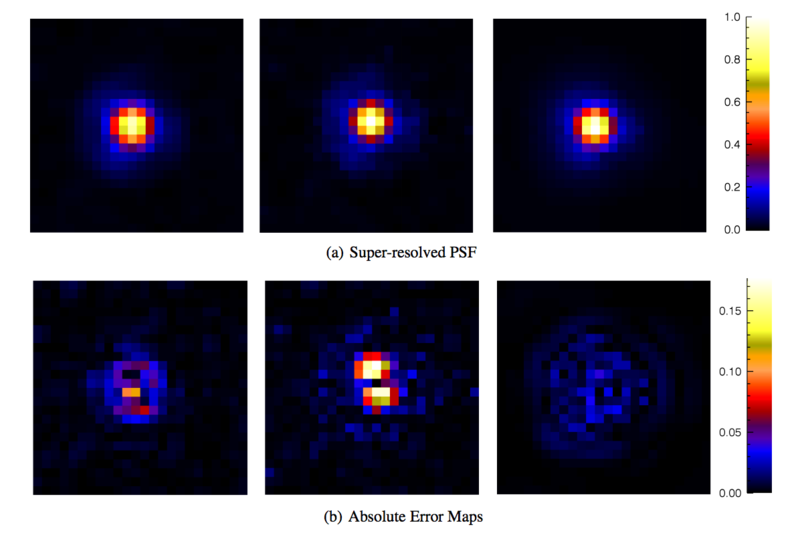 Super-resolution method using sparse regularization for point spread function recovery, Astronomy and Astrophysics, 2014. Available here. Context: in astronomy, observing large fractions of the sky within a reasonable amount of time implies using large field-of-view (fov) optical instruments that typically have a spatially varying Point Spread Function (PSF). Depending on the scientific goals, galaxies images need to be corrected for the PSF whereas no direct measurement of the PSF is available. Aims: given a set of PSFs observed at random locations, we want to estimate the PSFs at galaxies locations for shapes measurements correction. Contributions: we propose an interpolation framework based on Sliced Optimal Transport. A non-linear dimension reduction is first performed based on local pairwise approximated Wasserstein distances. 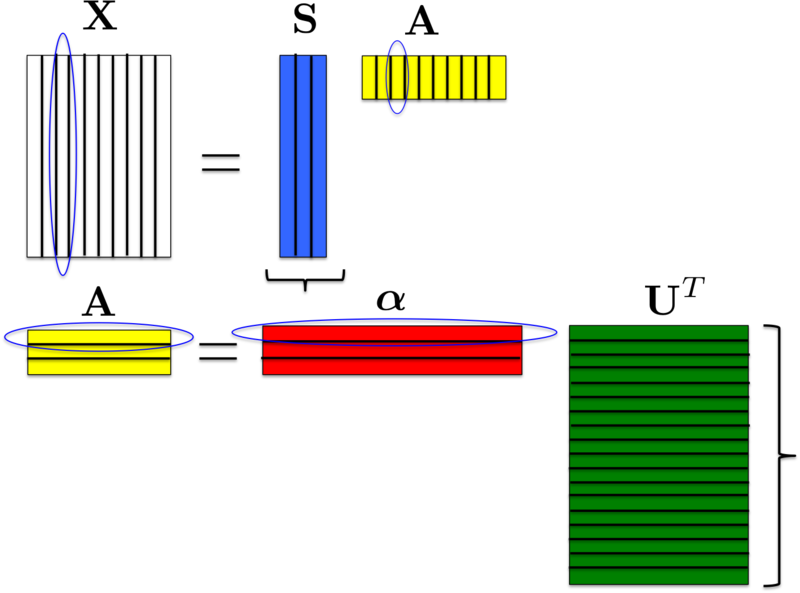 A low dimensional representation of the unknown PSFs is then estimated, which in turn is used to derive representations of those PSFs in the Wasserstein metric. Finally, the interpolated PSFs are calculated as approximated Wasserstein barycenters. Results: the proposed method was tested on simulated monochromatic PSFs of the Euclid space mission telescope (to be launched in 2020). 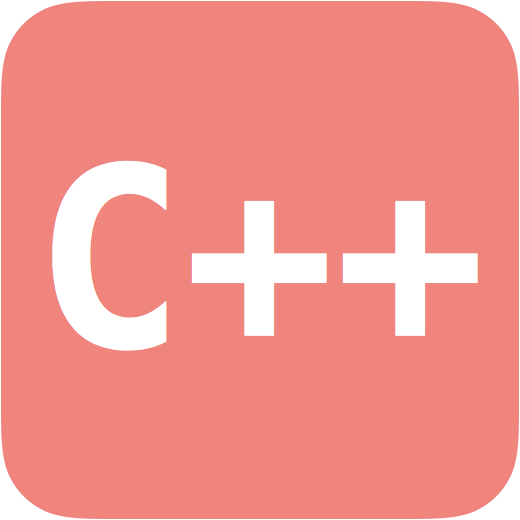 It achieves a remarkable accuracy in terms of pixels values and shape compared to standard methods such as Inverse Distance Weighting or Radial Basis Function based interpolation methods. Context: in large-scale spatial surveys, the Point Spread Function (PSF) varies across the instrument field of view (FOV). 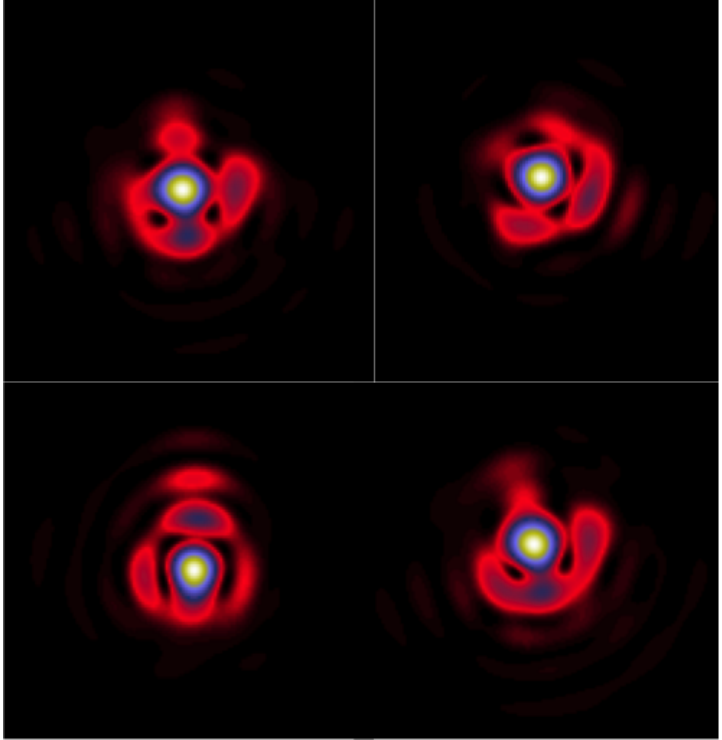 Local measurements of the PSFs are given by the isolated stars images. Yet, these estimates may not be directly usable for post-processings because of the observational noise and potentially the aliasing. 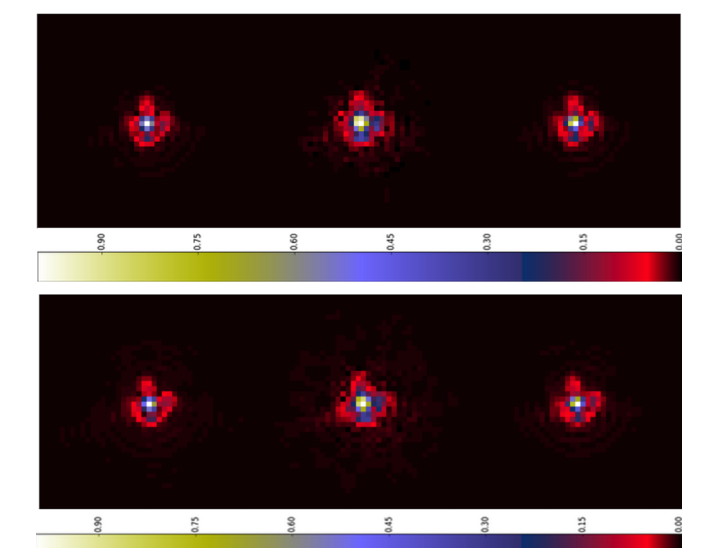 Aims: given a set of aliased and noisy stars images from a telescope, we want to estimate well-resolved and noise-free PSFs at the observed stars positions, in particular, exploiting the spatial correlation of the PSFs across the FOV. Contributions: we introduce RCA (Resolved Components Analysis) which is a noise-robust dimension reduction and super-resolution method based on matrix factorization. We propose an original way of using the PSFs spatial correlation in the restoration process through sparsity. The introduced formalism can be applied to correlated data sets with respect to any euclidean parametric space. Results: we tested our method on simulated monochromatic PSFs of Euclid telescope (launch planned for 2020). The proposed method outperforms existing PSFs restoration and dimension reduction methods. We show that a coupled sparsity constraint on individual PSFs and their spatial distribution yields a significant improvement on both the restored PSFs shapes and the PSFs subspace identification, in presence of aliasing. Perspectives: RCA can be naturally extended to account for the wavelength dependency of the PSFs. In large-scale spatial surveys, such as the forthcoming ESA Euclid mission, images may be undersampled due to the optical sensors sizes. Therefore, one may consider using a super-resolution (SR) method to recover aliased frequencies, prior to further analysis. This is particularly relevant for point-source images, which provide direct measurements of the instrument point-spread function (PSF). We introduce SPRITE, SParse Recovery of InsTrumental rEsponse, which is an SR algorithm using a sparse analysis prior. We show that such a prior provides significant improvements over existing methods, especially on low SNR PSFs.